Conia's key characteristic is its organic, triangular shaped blades that work together to create a modern classic, suitable for infusing contemporary style into your home. 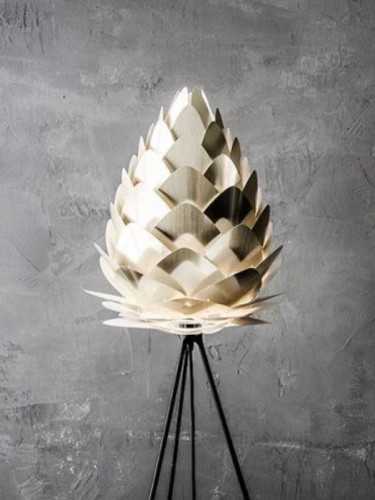 It looks brilliant arranged in clusters at different heights or in a row over a dining table and can also be used as an uplighter or a downlighter. The matt black Tripod lets you turn your lamp shade into a floor lamp in just seconds. The ingenious construction of the Tripod ships in compact packaging and snaps together automatically upon unpacking - just like a magicians wand!